Meade Lexus of Lakeside, Utica, Mich.
Two years ago, employees of Meade Lexus of Lakeside were trained on catering to female customers. The training made the dealership a better place for both female and male customers -- and for employees. 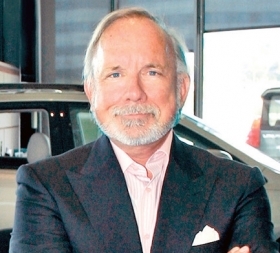 Ken Meade, 68, the president of the Meade Group, which owns two Lexus stores, said the online training by vendor AskPatty.com Inc. promoted teamwork at the Lakeside dealership in addition to teaching employees how to better communicate with female customers. "Changes in our industry can be hard. It was a great experiment for us," Meade said. The AskPatty training provides insight into how women shop, how they want to be talked to and how to relieve some of the tension incumbent in such a big-ticket purchase as a car, Meade said. The 19-unit video program took four to five hours to complete, said Kristina Reid, the Meade Group's marketing manager who oversaw the project. All staff who have contact with customers, or about half of the store's 45 employees, went through the training, as did employees of the other Meade Lexus dealership. Meade said women do the bulk of the research in finding a family vehicle and are key decision makers in car purchases. At Meade Lexus of Lakeside, the first Michigan Lexus store certified by AskPatty, employees today correct each other when decorum isn't top-notch, he said. He added: "We're treating each other nicer."